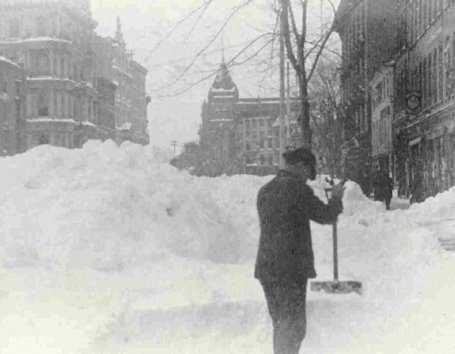 The Blizzard of 1888, the granddaddy of northeasters, left a lasting impression on Connecticut. It wasn't just the 50 inches of snow many areas received but the 60 mile per hour gale force winds that piled the snow into enormous drifts. Vernon was not spared from the storm. The storm began on Sunday, March 11 and raged through Tuesday night. It immobilized most of the Northeast. Remember that in 1888 travel was by horse drawn vehicle or by train. Horse drawn sleigh's were used to carry away excess snow from city streets - no plows, trucks, blowers or payloaders. Travel from city to city was most comfortable and fastest by train. With the snow many trains were stalled in rural areas with passengers afraid to venture out except perhaps to a nearby farm for supplies. One such train on the New England Railroad with 53 passengers coming from Boston to Hartford got as far as Vernon Depot when it came to an immovable snow drift. Virtually every train in those days seemed to have on it a vaudeville group or opera company willing to entertain. As today people made the best of it and with little else to do in Vernon they partied for two days. 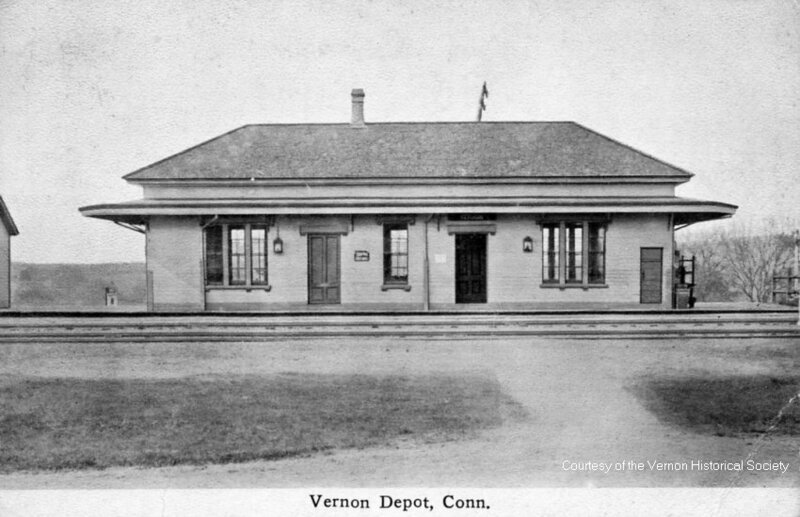 They christened the depot the 'Vernon Hotel.' As Vernon Depot was part of Dobsonville there were plenty of nearby people to support those on the train. Wednesday dawned clear and mild bringing people outside. The train was finally freed and reached Hartford at 11 p.m. on Wednesday. It took many more days for the state to dig out and for business to return to normal, but it was nearly spring and even this would melt soon. This is one group that will remember their visit to Vernon. "Blizzard! : The Great Storm of '88" by Judd Caplovich; edited by Wayne W. Westbrook. For Hartford Courant article go to The Great Blizzard of 1888. For an overview of the storm go to Blizzard of 1888. For blizzard photos go to Photo Archives. Top photo on "Photo Archives"